I went to Yuzawaya yesterday to get new fabrics. Some fabrics were discounted so I didn't get any ones of normal price (* v *). This one is for my Tomato. It costed only 1/3 of the normal price. It's so cute! These fabrics are for me. I liked beautiful flower printed fabrics. The white rose one is from Kokka. They also have different colors of it and I wanted more... To get it in discounted price, I should get 1 meter or more for each so I could get only one. About yellow and red fabrics, I had to get two meters to get them in the discounted price. I think I'll make clothes for me and Tomato with them (* v *). 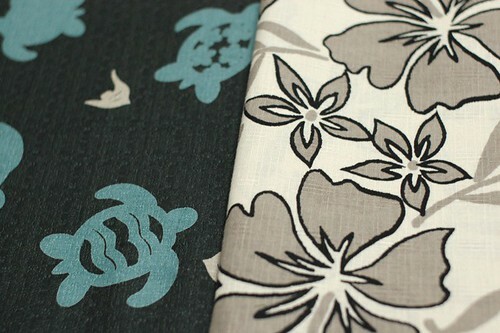 At last, I found these Hawaiian printed fabrics. They were from Yuwa and also in half price! My mother dances a hula, so I'll make bags for her (* v *). I was there for two hours and got more than 10m of fabrics. I also got some cotton double gauze and cotton knit to make items for Tomato. Oh, I wanted to tell you what pattern I used for the shirt for Tomato. 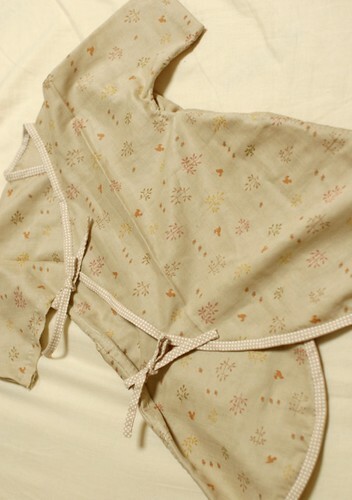 I got the pattern from this blog(I'm sorry, it's in Japanese). The patterns are in two PDF, "hadagi1.pdf" and "hadagi2.pdf". If you want to use them, print them in 200% of the size. The shirt for your tomato is adorable. 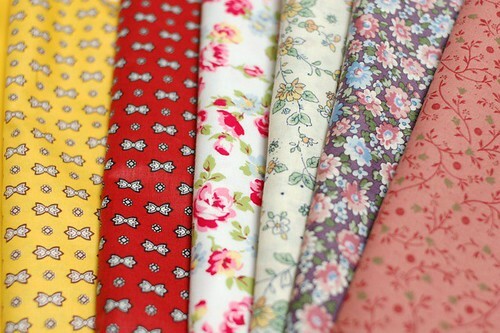 I'm going fabric shopping this weekend too and I love those floral print fabrics. I love your fabric. Thanks for posting pictures. Can't wait to see what you make for yourself and Tomato with them. 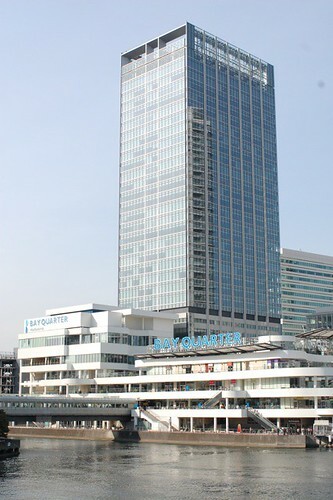 なつかしい！！ I used to live near the Yuzawaya in Kobe and spent too much money there on fabric, buttons, clasps, craft books and so on. I still have fabric in my stash that I bought there, but it is so beautiful I am afraid to cut in to it...! Oh, I love the cute yellow print and that hawaiian print is just gorgeous! Can't wait to see what you make with them! Grazie mille per condividere il cartamodello che hai usato per la tutina! Aspetto anche io un baby che dovrebbe arrivare a luglio! Complimenti per tutti i bellissimi lavori che fai, hai moltissimo talento! Un abbraccio grande a te e al tuo Tomato! You hand sewn this or using machine? I wanted to make a blouse for my girl too. But I don't have a sewing machine. So, I am thinking of hand sewn. Is it possible? Will the stitches be secured enough? 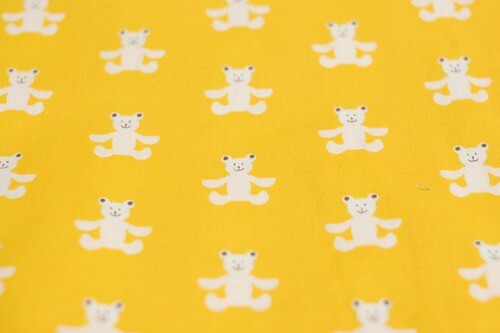 These fabrics are so cute ! The pattern is very nice ! For the non-japanese speakers, it can be found on Nani Iro's website. Dearest Mai, these fabics are gorgeous. I espcially love that cute fabric you picked for tomato and those beautiful flower printed fabrics. Have a lovely merry happy week and love to you! I was wondering, would you mind translating some of the steps for us helpless English speakers? ?